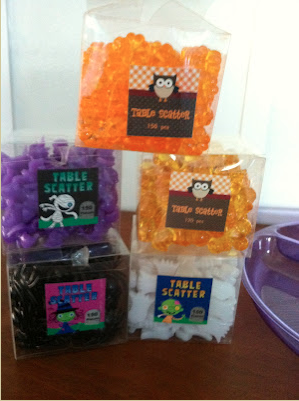 I found this cute table scatter a few weeks ago in the Target Dollar spot. I only picked up the pumpkins and the leaves (I wanted to stay away from Halloween type things), but there were 3 or 4 other kinds available. I knew I could use it for some fun math activities, so I made up some some pattern cards. 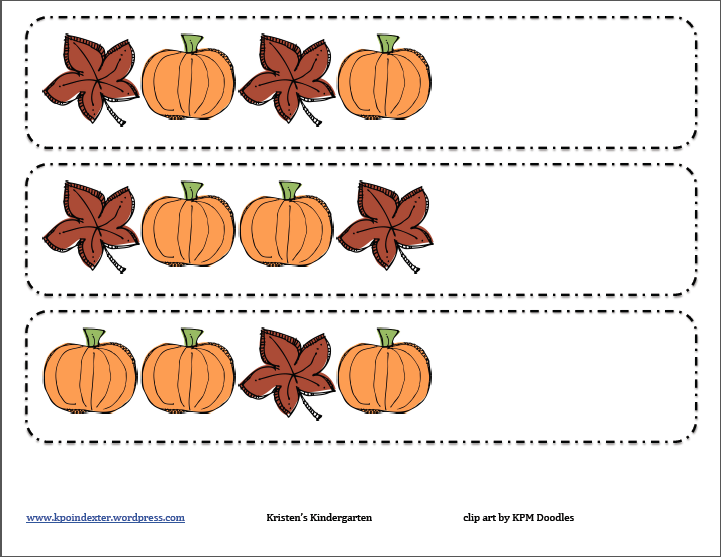 You can download them in my Teacher’s Pay Teachers Store. While you’re there, don’t forget to check out my sale on several of my items–they are 10% off until tomorrow! Posted on October 2, 2012, in Target, Teachers Pay Teachers. Bookmark the permalink. Leave a comment.